ISBN 978-1-60358-761-7, 368 pages, $34.95 Full color photos and illustrations throughout. 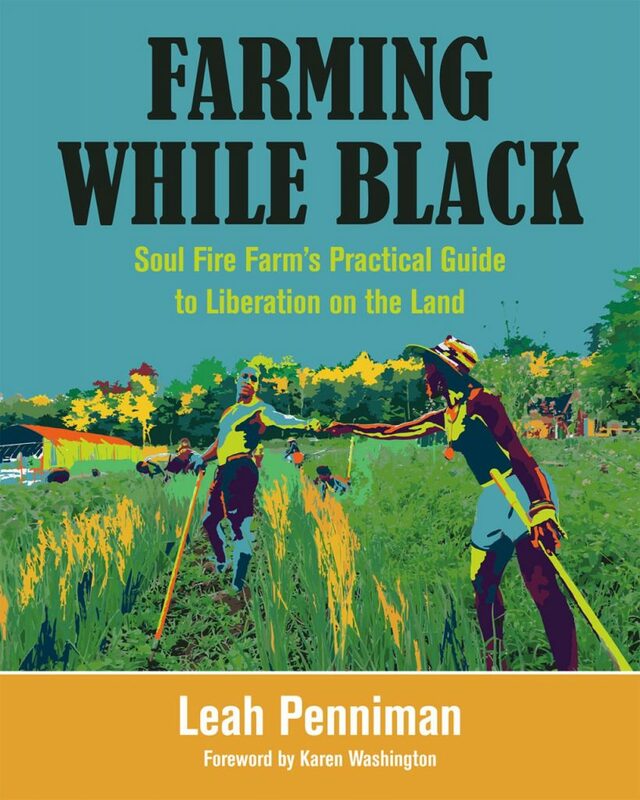 This timely book is Soul Fire Farm’s Practical Guide to Liberation on the Land. As Karen Washington says in the foreword, it “sheds light on the richness of Black Culture permeating throughout agriculture.” It’s practical, political, spiritual, uplifting and inspiring. Before I go any further, I should say I’m white. I’m a farmer, a first generation immigrant, an enthusiastic reader of good farming books, and someone who likes to pass things she learns on to others. I love that this book brings farming wisdom from African and Caribbean cultures, gems like information on the susu Caribbean community mutual lending groups and inventive methods of farming with small material resources. I love that this book opens our eyes wider to the historical and current, shamefully unjust treatment of people of color as they farm. The title is perfect. Leah Penniman is a Black Kreyol farmer who has been working as a farmer for 20 years and as an anti-racist food activist for 15 years, and a mother for some years too. 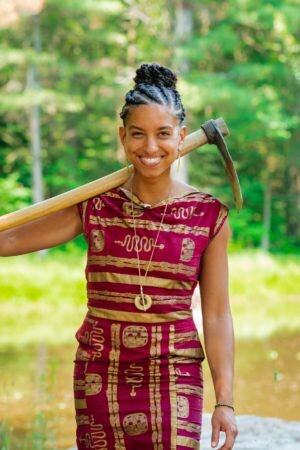 She is a founder of the ten-person Soul Fire Farm in New York, which supplies low-cost healthy food to people living in places where they would otherwise be without good food. The farm offers training programs to Black, Latinx and Indigenous new farmers, as well as Black youth who would otherwise have received punitive court sentences, and anti-racism workshops. Throughout the book are sidebars with the title “Uplift”, bringing wisdom from the African Diaspora. There are also tales from her own learning curve, such as letting the excitement over finding land blind her to the impoverished nature of the soil there, and the lack of road, electricity or even a house. She passes on to us her 13-point list of characteristics of suitable land, and her three essentials for farming: land, training and material resources. She knows the conventional resources, the unconventional ones, and how to tap into them. For instance, squatting land and activating an adverse possession claim after paying taxes for enough years, or making use of the National Incubator Farm Training Initiative programs. As a result of decades of USDA discrimination and white injustice, the percentage of farms owned by Black farmers in the US has gone down from 14% in 1920 to less than 2% today. USDA is starting to make amends by offering some greater resources to “historically disadvantaged” farmers. There is a long way to go, to undo past harm. Land injustice continues today. Over 80% of food eaten in the US is grown by Latinx workers, but only 2% of farm managers are Latinx. A bright spot during the Great Depression was the formation of the Southern Tenant Farmers Union, an interracial organization that used nonviolent protest to demand their fair share of government support. The Uplift sidebar about the New Communities Land Trust particularly interested me. This, the first community land trust in the US, was set up in 1969 as a 5,700 acre farm collective owned in common by Black farmers. Yes, they were shot at by some white neighbors, and suffered thefts. They were denied emergency drought relief in 1981-82, while white farmers received funds. In 1985 they had to fold and sell the land. In 1999 they settled a civil rights case for $1.2 billion and re-established on a 1,600 acre former plantation, renamed Resora. When it comes to asking for loans, many Black people do not have access to conventional credit because of the legacy of structural racism. Alternative resources such as susu are needed. These are microfinance membership groups that pool subscriptions and fund one member at a time. Leah Penniman offers models of financial sustainability that question capitalism and reinforce the understanding that land has belonged to people in common for much longer than it has been owned privately. Those who have known want don’t assume that the world owes them/us anything, and so will want to pay close attention to financial agreements. Sharing work via the konbit system is another way for people to support each other to get timely tasks completed. Every farm gets the chance to receive the help as well as provide it. This book provides a great deal of help. In return, don’t look for the cheapest place to buy it! Pay the fair price, or even offer reparations if you are from a family that benefited from historical exploitation of people of color. The book offers help with clarifying your mission and goals, and making a farm business plan. Soul Fire’s goals include training and empowering aspiring Black, Latinx and Indigenous growers and young people, providing healing, offering education in environmental justice, food sovereignty and other transformative justice, supplying good food locally at affordable prices, sharing their farming model, collaborating with other Black land justice networks and being a culture that cares for the well-being of its workers. There are work songs! Learn them at www.farmingwhileblack.org. There’s an explanation of Cultural Appropriation and Appropriate Use on page 69. Share, don’t seek to control or get private gain. There’s a whole chapter on restoring degraded land, which Leah Penniman surely knows well, having started with soil listed as marginal and unsuitable for growing crops. She addresses remediating soils contaminated with lead, an especial problem in urban soils which are more likely to be available at lower prices, financially speaking. She shares specifics about Haitian farmers’ work to remediate the soils they inherited after colonialism, using vetiver perennial grass planted on contour to prevent further erosion. 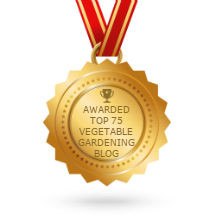 Leah Penniman gives step-by-step instructions on soil testing, chelating the lead (acidifying the soil), using specific plants for phyto-remediation, removing the mature plants for disposal as hazardous waste, and retesting your soil. There are details of how to measure the slope on your land using only a line level and string. This is so you can mark contour lines and create terraces, plant fruit trees and stabilize the soil. There is a very clear description of using tarps to smother weeds without tillage. (I am so relieved we can now call this process “tarping” rather than the cumbersome “occultation”!) The Feeding the Soil chapter explains the difference between the “energy-drink” effect of chemical amendments and “nutritious-meal” amendment with compost, rock dusts or seaweed. Cation Exchange Capacity is beautifully explained with a hip-hop metaphor comparing the number of binding sites to the number of vocalists! The Crop Planning chapter offers crops unusual in the US as well as staples. I was tickled to find Soul Fire Farm calls their high tunnel “North Carolina” because its microclimate is more like that state than New York. We called ours (in Virginia) Trinidad for similar reasons! I like the idea of using a piece of wire mesh (hardware cloth) on top of an open flat to help with seed spacing. The Tools and Technology chapter gives advice for simple affordable hand-made equipment (such as worktables at the right height), and using fingers, knuckles, hand-spans and length of stride as measuring instruments that will always be with you. There is a one-page equipment checklist which includes a hammock for after-lunch siesta! The chapter on seed-keeping tells of the 2013 success of the Haitian Peasant Movement G4 in winning the Global Food Sovereignty Prize for their rejection of a large donation of seeds from Monsanto despite the challenges caused by the huge 2010 earthquake. That takes courage as well as wisdom and long-term thinking. Unlike most crop production books, this one includes chapters on raising livestock, plant medicine (with recipes), cooking and preserving, healing from trauma, building a movement and how white allies can be helpful in uprooting racism. There is also a chapter on Honoring the Spirits of the Land. In the Urban Farming chapter we learn more about the Great Migration which pushed 6 million African Americans from the rural Southeast into the cities of the North, Midwest and West. They were moving away from lynching, land theft and other forms of racial violence, as well as share-cropping, loan discrimination and other unjust practices. By 1970, 80% of African Americans lived in cities. The National Housing Act of 1934 institutionalized housing discrimination, ranking Black neighborhoods (marked in red on the maps) too risky for mortgages. This led to lowering of property values, and decline of Black neighborhoods. Veterans returning from World War II were entitled to zero-interest mortgages, but these were illegally denied to African American veterans. Sadly, white “pioneers” have co-opted urban farming in many African American neighborhoods, getting grants that were denied to the Black leaders of area improvements. 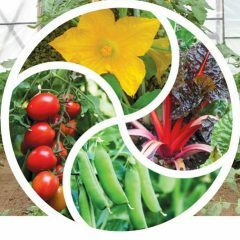 This chapter provides information on starting and maintaining urban farms, all the way from finding land (look at tax maps of vacant lots, find the most recent owner, open negotiations), through navigating “nuisance ordinances”, making land-use agreements, collecting rainwater, growing in small spaces and vermi-composting. The Youth on Land chapter is about including young people in farming, Working outdoors provides physical, emotional and spiritual well-being; reduces stress, social anxiety, depression, disease and impulsivity and increases focus, creativity, agility, eye sight, life satisfaction and more. It provides a sense of a life worth living. For three years, Soul Fire Farm had a Project Justice which trained court-adjudicated youth at their farm for 50 hours, instead of them being persuaded by the lawyer to accept a plea bargain for a lighter sentence than they would get if found guilty (whether they were guilty or not). Once young people have a criminal record, they are more likely to become a target of law enforcement, and the pipeline from school to prison becomes cemented in place.